Believe it or not, it is already time to think about back to school! The building is freshly painted, and the floors are shining. The teachers are busily arranging their rooms to ensure another successful year in the classroom. Now is also the time to evaluate your home study space – an important factor in any student’s success. Do you have a dedicated space for school work? If so, give some thought to how it is set up, and read over the tips in this article to make sure it is working well for you. Are you one of those people who prefers a less-structured approach? I challenge you to reconsider it in light of the benefits listed here and then set up your own study space for the coming school year. Time – the greatest benefit of a home work space is time. By having all supplies and reference materials on hand, students eliminate the constant interruptions of having to stop and start as they look for needed materials. Efficiency – Research shows that the human mind is able to associate environments with particular activities. For example, over time, our brains associate the bed as the environment for sleep. For this reason, many students unwittingly discover they fall asleep when they study in bed! Likewise, when they have a dedicated workspace, over time, their brain begins to associate that space with study, and they are able to focus and work effectively using that space. Effectiveness – Managed well, a home work space can become the single location for all things related to school work. It is the drop off point for the backpack at the end of the school day and the place to find any school-related assignments. This means students can be more effective in keeping up with their belongings and can arrive at school prepared for their day with less stress. Remember! While most of your studying and assignments are probably best done at your study space, there are times for you to explore “outside the box.” If you have a reading assignment for Literature, consider curling up in a comfy chair by the window – even outdoors can be great on a cool autumn day! Make the most of your study time by making sure your study space is in a place that works well. Think you don’t have a spot for a home study space? Get creative! Store the necessary items in a bin that can be easily accessed near your kitchen or dining room table and invest in a large basket for storing backpacks. Or consider using a large closet, or an area in a finished basement or attic. Ideally, if you have a dedicated spot identified, you want to make your space welcoming, so that studying will be as enjoyable as possible. Study in a calm, quiet place. Eliminate distractions – turn off the radio or television, sign out of social media, turn off your phone. Consider studying at the same time of day. Let friends and family know that you are doing homework during that time, so they know to leave you alone. Update the reference materials you keep on hand as your needs change. For example, if you are studying Spanish, you might add a Spanish-English dictionary to your reference materials. Create a home filing system to organize papers you no longer need to keep in your binder. Depending on the amount of paperwork you have, you can consider an accordion folder (one for each subject), a file box, or even a storage basket with file folders, color-coded by subject. Post a calendar to keep track of tests, project deadlines, and other important dates. Each evening, repack your backpack for the next day. That way, you’re not rushing around the next morning looking for what you need. You can begin your day relaxed and ready to go. Mrs. Kellie Baker serves as a foreign languages instructor in the Rhetoric school, teaching Spanish I, Spanish II, and the Music Appreciation elective. She holds a B.A. in Business and Behavioral Science with a minor in Spanish from Oglethorpe University, which included an immersive studies abroad program in Spain. 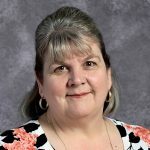 Prior to joining the staff at CCS, Mrs. Baker spent a number of years with IBM in a variety of positions, including developing and delivering education for clients. In her seven years at CCS, she has taught Classical Roots, Latin, and Spanish, as well as the Study Skills elective. Mrs. Baker holds ACCS Professional Certification. She and her husband, James, are the parents of two daughters who are CCS graduates.